Part of our morning ritual in kindergarten is to check the weather outside. Someone’s classroom job is to open the door and peek his or her head out as the class sings the weather watcher song that is to the tune of Frère Jacques (I did not create the weather song). After, the kiddo moves an arrow on our weather dial to show what the weather is like outside. Won’t you please, won’t you please! After the weather reporter shares the weather on the dial, we briefly talk about the weather in comparison to the day before. It’s time I take our discussion to another level. 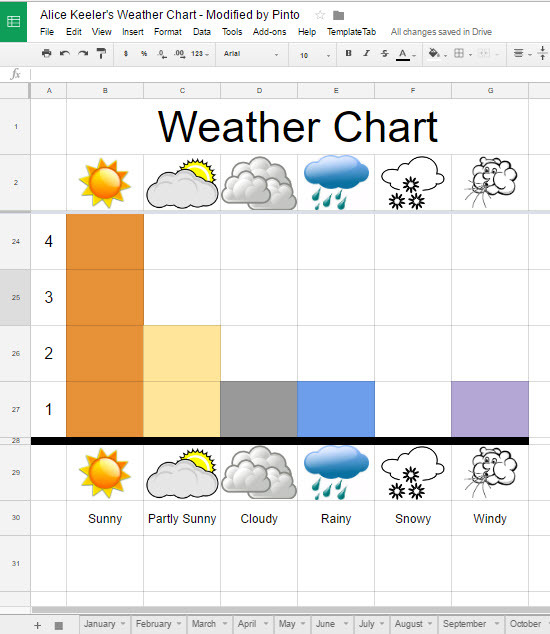 For the rest of the school year, our weather reporter (new student each week) will graph the weather in this spreadsheet. Every day for a whole month, the weather reporter will fill the cell (by typing anything into the desired cell) and the color of the cell will automatically fill. This will help us to keep track of how the weather has been over a longer period of time. Along the way we can discuss our observations and which type of weather has been charted the most or the least. Once we have two months completed, we can compare and contrast the two months. 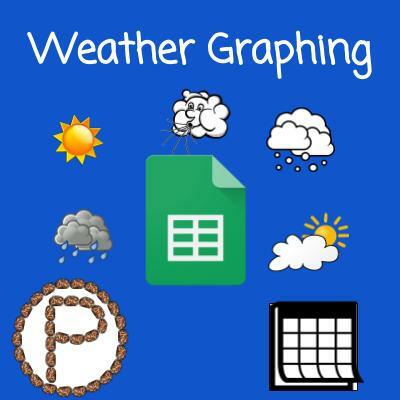 If you are interested in having your students share about the weather with another class, please fill out your info in the spreadsheet below and contact another teacher you would like to share with!